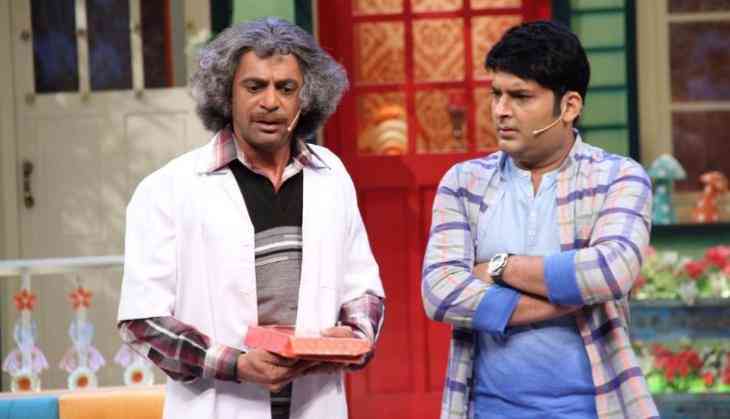 Home » Television News » Channel tries wooing Sunil Grover again. The channel apparently is trying to convince Grover to come back to the Kapil Sharma show, with a promise that Kapil and he will not be in the same frame. The Kapil Sharma-Sunil Grover controversy refuses to die down. Yesterday Grover had announced on twitter that he has no plans of going back on the Kapil Sharma show. But the latest we hear is that the channel is not yet ready to give up on Sunil. They apparently are now trying to woo him by saying that if he comes back on the show; it will be made sure that he won't have to share the frame with Kapil. This is apparently because the TRP of the show has seen an all time low since the spat and Grover's exit. A source says, "Sunil has a contract with the channel. If this doesn't work out, the channel might try to use him in some other show." It is also being said that the makers have asked Kapil to mend bridges with Sunil as it’s a prime slot and the show has suffered a setback due to their fallout.